Ravnica is threatened by Nicol Bolas himself, and his army of nigh-unstoppable Eternals! Take up arms against him, or join the fray on his side at the War of the Spark Prerelease! 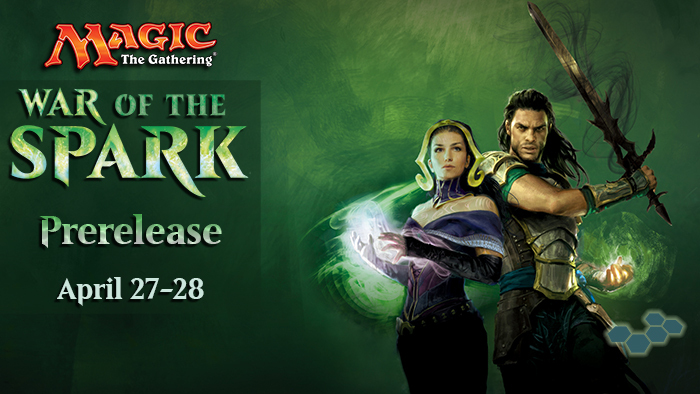 Join us for our noon prerelease of War of the Spark and get your hands on the newest Magic set a full week early! Entry is $30, or stop in and preregister for $25 to lock down your spot. That puts you into our tournament where you'll face off against opponents of the same rank and fight for a chance at extra packs! Do you have what it takes?